Thieves and supernatural forces rampage while friends hang out at Central Perk. Directed by Terence Young, the man who helped shape the James Bond franchise with Dr. No, From Russia with Love, and Thunderball, and based on a play by Frederick Knott (Robert and Jane-Howard Carrington handled the screenplay adaptation), Wait Until Dark is a highly acclaimed film that earned a Best Actress Academy Award nomination for its star Audrey Hepburn. And it's a movie that disappointed me the first time I saw it. The story of three criminals who invade the home of a blind woman in search of a doll stuffed with heroin, Wait Until Dark is often hyped up as a scare classic. I envisioned a harrowing film in which the criminals bust in and terrorize this blind woman while tearing her place apart, her cowering in fear until she finds the resolve to fight back. I envisioned something that would be very typical these days, but it's not what this movie is. The criminals in this film take a much more methodical approach to their search for the doll than I thought they would. They're not on a nightmarish rampage. 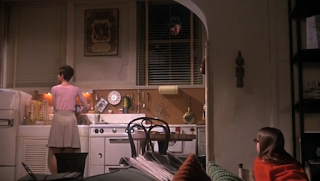 Played by Alan Arkin, Richard Crenna, and Jack Weston, these guys enter the basement apartment of Susy (Hepburn) without any sign of violence, instead using fake identities to craft a story that allows them to get close to the woman and look around the place without her getting too suspicious about ulterior motives. Crenna's character Mike pretends to be a friend of her absent husband's, Arkin's Roat a father and son who are stirring up trouble, and Weston's Carlino a detective who is called in to talk to Susy and Mike. These guys dazzle Susy with their actions and words - this is a very talky movie, its 108 minutes packed with lengthy exchanges of dialogue - all the while trying to figure out the location of this doll, which Susy and her husband don't know was used to smuggle drugs into the country in a time of much more relaxed security measures. 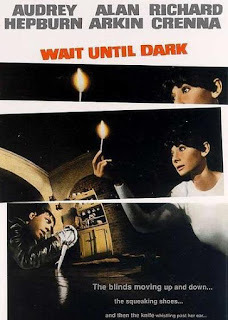 So when I first watched Wait Until Dark at a rather young age, I found it to be dull. I didn't put it in expecting a lot of talking, I thought it was going to deliver action and scares. I enjoy the film much more now, with expectations and several years out of the way. Rather than wishing it was something else, I can get into it just the way it is. I get drawn into the story, I appreciate the well written dialogue and the strong performances, and I feel the tension building up between Susy and the cunning thieves as the film gets closer and closer to its climax. When it does reach that climax, what I once found to be too quaint I now find to be awesome. Wait Until Dark wasn't a film for me when I first saw it, but it most definitely is a film for me now. The only werewolf movie to be made by Hammer Films in their heyday, The Curse of the Werewolf takes a unique and unexpected approach to telling the story of a werewolf. Usually there are already werewolves roaming the countryside at the beginning of a werewolf tale, their origin unknown. Curse gives a detailed look at exactly how a werewolf can come to be. 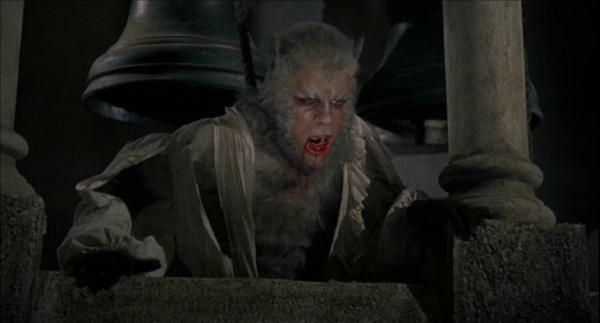 The Curse of the Werewolf is based on the novel The Werewolf of Paris by Guy Endore, but moves the novel's 1800s France setting to 1700s Spain, a change that came about simply because the filmmakers had access to sets built for a Spanish Inquisition movie that was never made. The story begins with a drifting beggar arriving in a village that is ruled over by a marquis who forces the people to pay for his extravagances and mistreats his workers. The beggar is brave and/or foolish enough to go directly to the marquis' castle seeking aid, and for his troubles he is mocked and humiliated by the marquis in front of party guests. Since the beggar is poor, he doesn't even register as human to the marquis. After the marquis had had his fun with the man, he orders that the beggar be locked away in the dungeon... And there the beggar remains for several years, the only other humans he sees being the jailer and the jailer's mute young daughter, who the beggar watches grow into a beautiful woman while his own humanity slips away. The mute girl continues caring for the prisoner even after the jailer dies, but things go terribly wrong when she crosses paths with the marquis one day. Although she has been in his castle daily for all these years, the marquis is unaware that she is mute. When she doesn't respond to him, he has her locked up with the beggar. We were feeling sympathy for this man just minutes earlier in the film's running time, but he's no longer the man he was when he first came to the castle. He rapes the jailer's daughter and apparently dies from the exertion, but not before he has gotten her pregnant. The next day, the mute girl is brought to see the marquis - and she kills the wicked man. The girl flees from the castle and is found months later, floating in a river and near death, by Don Alfredo Corledo, who brings her home and has his servant tend to her. As Christmas and the birth of the child both draw near, the servant gets increasingly worried that the two events will coincide - she was taught that the birth of a child conceived outside of wedlock on Christmas is an insult to Heaven that will have disastrous consequences. So this is, according to Endore, screenwriter Anthony Hinds (going by the name John Elder), and director Terence Fisher, how one receives the curse of the werewolf. Put aside any questions you may have about whether December 25th is the accurate day to celebrate the birth of the Messiah; The Curse of the Werewolf takes place in a purely Christian world, and there was no co-opting of the Winter Solstice here. The mute girl gives birth to the child on Christmas, dying in the process, and her son grows up to become a werewolf. I don't know whether it's more tragic or insulting that this film has the child, who is named Leon, punished in such a way because of the circumstances of his conception and the date of his birth. Either way, it's a back story that the filmmakers were quite dedicated to telling, because it takes up about half of the movie. They were most interested in crafting this set-up than actually delivering werewolf mayhem. There is a brief interlude set during Leon's childhood where an innocent dog ends up being put down for the animal killings that have actually been committed by the little werewolf, which doesn't exactly help the movie win me over after the explanation for the curse has put me off. Then, at long last, we catch up with the adult Leon, who is played by Oliver Reed. Leon leaves home for a job, and this is when his troubles really begin - and when the audience is finally treated to the sight of a full-fledged werewolf that the title of the film seemed to promise. It has been said that love might be able to save a man who has been cursed, and Leon does strike up a star-crossed romance with a woman who has been promised to another, but this guy has had the worst luck ever from the moment of conceived, so it's tough to hold out much hope for his chances. Instead, we can only hope to get some genre thrills from his ordeal. The Curse of the Werewolf isn't in the running to be named my favorite werewolf movie, but it was interesting to see one that took a different approach and told a very different sort of story, even if that story rubbed me the wrong way. It's not a movie I'll be watching many times, but I'm glad I saw it at least once. 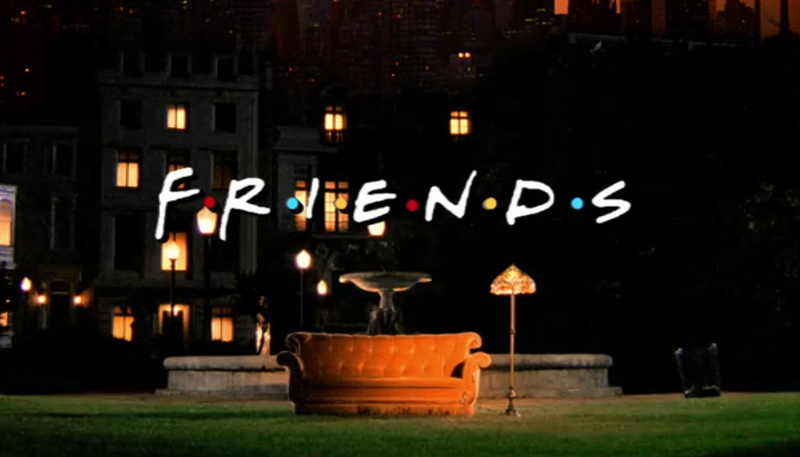 I was a regular viewer when Friends first started airing on NBC in 1994. As I recall, I watched every episode of the first season, and when the second season came around I watched several episodes of that. But while the series would continue to ride a wave of immense popularity for a total of ten seasons, I drifted away from it during season two. Millions watched and fans raved, but I took on a mostly negative outlook, annoyed by most aspects of the show, from the characters to the theme song. If not for Netflix and my Remake Comparison co-writer Priscilla, I might never have returned to Friends. But given the fact that Priscilla loves the show and has watched its entire run multiple times and all ten seasons were made available through Netflix's streaming service, I decided to give the show another chance and start watching episodes again more than twenty years later. It took me almost an entire year, but I have now completed my ten season, 236 episode Friends viewing spree. I've followed the six friends of the title through all sorts of ups and downs, relationship issues and near-misses and triumphs, job switches, apartment moves, all sorts of stuff. And I have ended up with a positive opinion on the show. That's even without some previous opinions remaining unchanged - I would still fast forward through the theme song when I began most episodes, and I still find the characters to be annoying. I spent a lot of time watching them, but I wouldn't want to spend much time actually being around them. Almost every character has some kind of trait that is cranked up to absurd levels. Monica is the highly competitive neat freak, Chandler is the prankster/jokester who never stops making a mockery of things, Phoebe is intensely weird, Joey is incredibly dumb, Ross is hopelessly awkward. Some of them I don't really like at all, but somehow I don't mind watching them. The sixth friend, Rachel, gets off to an awful start, but quickly becomes more likeable when she realizes Ross has feelings for her. The Ross and Rachel "will they or won't they?" and "will they or won't they again?" off and on relationship continues throughout the entire series and was one of the most interesting aspects of it for me, it was a storyline I got wrapped up in. Friends may not have ever gotten me laughing uproariously, but it is an amusing, entertaining show. I enjoyed watching it and would be up for watching it again someday. A Persian-language horror film that stirred up a lot of hype with its screenings at the Sundance Film Festival, Under the Shadow is a movie that I found to be almost equally engrossing and frustrating. While it's a very impressive feature debut for writer/director Babak Anvari, it ended up being an intriguing viewing experience for me but not an entirely satisfying one. The most interesting and unnerving thing about the film's story is its setting - the events play out in 1980s Tehran, Iran, in the midst of the Iran - Iraq War, a time when Iraq had declared their intention to level the city of Tehran with the missiles they had started launching into Iran. Supernatural forces come into play as the story unfolds, but no ghost story can even come close to being as scary as this real world scenario and the concept of living in a city that's been battered with bombs. Residing in an apartment building in Tehran is Shideh (Narges Rashidi), a woman who has had to give up her educational aspirations and her dream of becoming a doctor due to the recent political situations in the country. Now she's a housewife, married to a doctor named Iraj (Bobby Naderi), and mother to a young daughter named Dorsa (Avin Manshadi). As Iraj is soon drafted into military service, the bulk of the film is carried on the shoulders of Rashidi and Manshadi, both of whom did exceptional work. I was especially blown away by Rashidi's performance. Shideh isn't the easiest woman to root for, she's clearly unhappy with her situation and the way her life is turning out and that bitterness can sometimes make her off-putting, but Rashidi is stunning in the role. I really hope Under the Shadow is her gateway to even bigger and better international success. Missiles start striking Tehran and Iraj asks Shideh to leave the city, to take Dorsa to stay with his parents in another area, but Shideh is too stubborn. She refuses to leave the apartment building, even when a missile comes crashing through the roof of the place - thankfully it doesn't detonate. We soon come to realize that the missiles aren't the only things Shideh and Dorsa have to worry about. There's a legend that evil spirits called Djinn drift on the wind in areas where there is heightened fear and anxiety, and one of these spirits seems to have drifted into their apartment building with the objective of stealing Dorsa away from her mother. Despite the frightening, ghostly things Shideh glimpses, despite clear evidence of paranormal activity, the woman still drags her feet in deciding to leave the apartment building and Tehran, her initial stubborness and baffling over-reliance on tape giving way to a questionable determination to risk life and limb trying to Dorsa's lost doll, which the girl believes can protect her from evil spirits. That doll plays into an unsatisfying ending that left me feeling that the movie either should have gone on for longer than its 84 minutes or that it needed a sequel to tie up some loose ends and give a better explanation of what was going on. It's highly unlikely that Under the Shadow will be getting a sequel, but it is getting a remake, which is said to be set in London during the blitz bombings of World War II. We'll have to wait and see how that will turn out, but in the meantime I would say that Under the Shadow is worth checking out, especially to witness Rashidi at work, even if there's a chance it might leave you asking "That's it?"